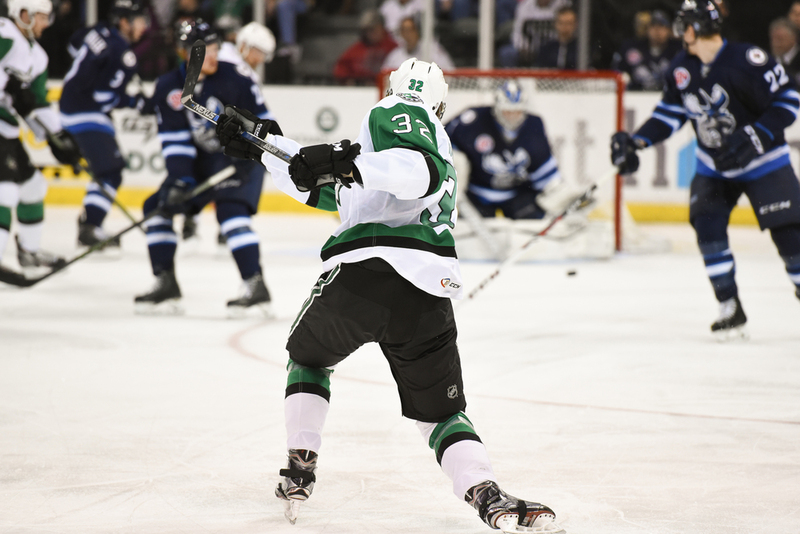 Last night was the last game of the regular season for the Texas Stars and they closed it out with a 4-1 win over the Manitoba Moose. The Stars start their Calder Cup playoff run this Thursday night. Jack Campbell was in net for the Stars and the first shot above is a glove save while getting some defensive help from Jesse Blacker. The second shot is a blistering shot on the Moose net by Niklas Hansson. The third shot Ludwig Bystrom knocking down a puck in flight around the Stars net.